The figure below plots all stars within 25.1 light years in terms of distance from the Sun (at the center) and direction relative to the galactic center (which is towards the right). Concentric circles are at intervals of 5 light years in distance. 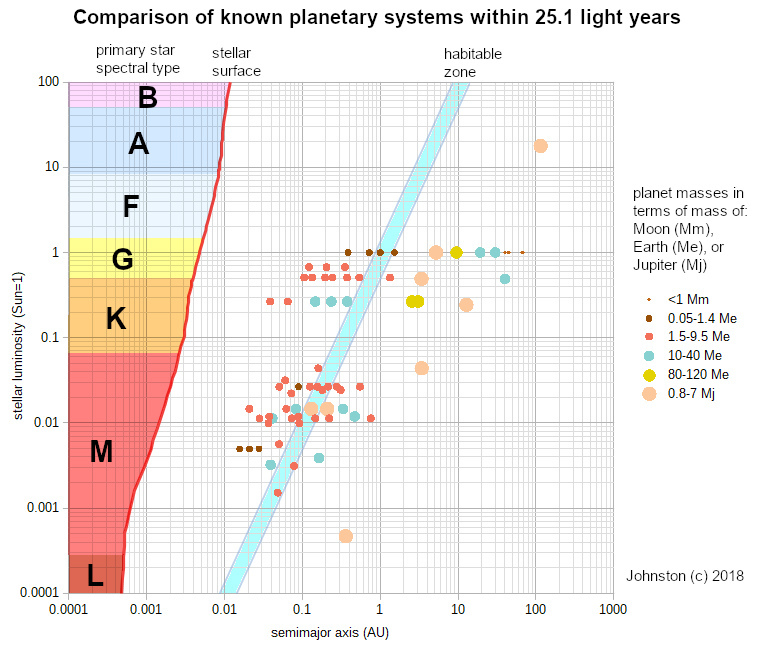 The figure below illustrates the known planetary systems within 25.1 light years, with primary star's luminosity vs. planetary distance from star. In this scheme, a single multiplanet system lies on a horizontal line, and a diagonal band (in light blue) represents the nominal "habitable zone" in terms of where planets would receive Earth-like irradiance.